There is an old interview of trainer Cus D’Amato in which he talks about how he instantly knew that Mike Tyson would be a great fighter. In the interview, he says that fighting has nothing to do with training or skill. D’Amato explains that when a good fighter takes a hard punch, he immediately knows to block or avoid that particular move at all times. He doesn’t want to get hurt. “Do you want me to throw in the towel?” D’Amato asked the young boxer. Lucia McBath is a fighter. When Michael Dunn gunned down 17-year-old Jordan Davis in the parking lot of a Jacksonville, Fla., convenience store, it broke his mother’s heart, but it did not break her. It transformed McBath from a woman battling breast cancer into a fearless advocate for commonsense gun laws. Today she and countless others across the country will wear orange for National Gun Violence Awareness Day, or Wear Orange Day. Celebrities show solidarity with National Gun Violence Awareness Day by wearing orange. 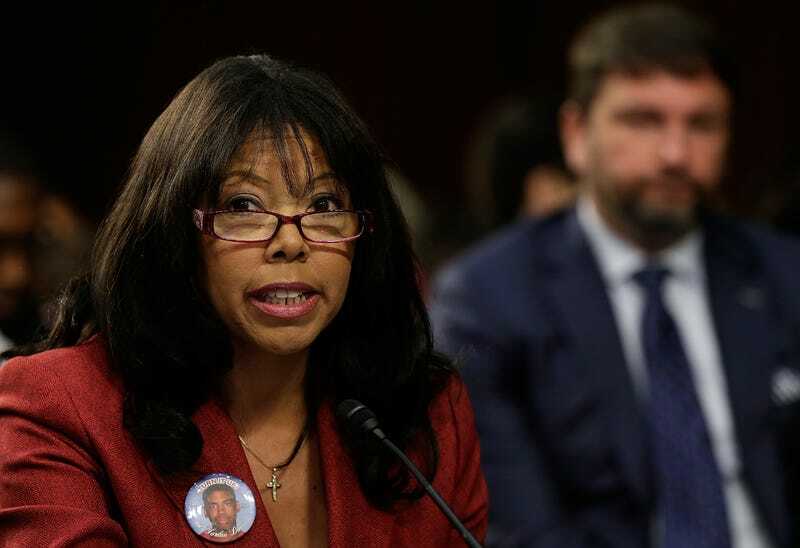 After her son was killed on Thanksgiving weekend in 2012, McBath decided to quit her job and become a full-time activist working to change gun laws and make people aware of the proliferation of gun violence and the dangerous gun culture in America. McBath sat down with The Root for a wide-ranging interview about Wear Orange Day and National Gun Violence Awareness Month. The pushback against gun control is the biggest hindrance to reforming the laws, McBath says. “I liken the work that I do to being an educator. I’m educating people to the truth of what gun violence prevention is. In fact, in a 2012 study, researchers found that whites are 354 percent more likely to be found justified for killing a black person in states with “Stand your ground” laws. Wear Orange Day began in part because of 15-year-old Hadiya Pendleton, who was shot and killed in Chicago just two days after performing at President Barack Obama’s second-inauguration parade in 2013. Her friends and family wore orange to her funeral, beginning the tradition of wearing the color to signal gun-violence awareness. For more about Wear Orange Day, click here. To find out more about National Gun Violence Awareness Month, visit here.